St-Hubert Machine Shop is a very unique company. What sets us apart from our competitors is our feedback to you and our dedication. There is always a customer service representative waiting to answer your call. No more transfers, no more messages, we strive to always work directly with each client on a one on one basis.. Customers call, and questions get answered. We work around the clock to ensure that each job is completed with perfection and delivery dates are met. We are professionals in the gear manufacturing industry and take pride in the fact that we service each client quickly and efficiently. St-Hubert Machine Shop is there for you. Take a look at our brochure for more information about our facilities and services. Our engineers tackle the most difficult tasks such as design making, print making or changes, on site services, or reverse equipment modifications. Our portable machine shop is considerably equipped, therefore we are able to perform any machine shop services at any location. 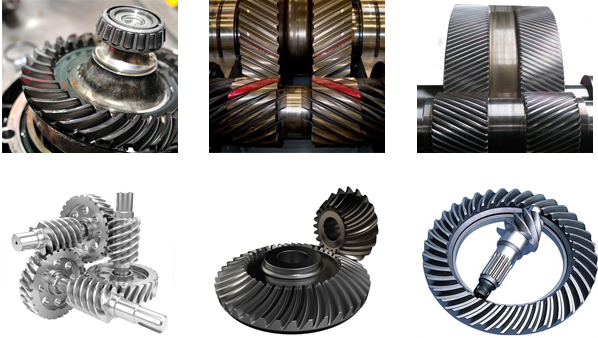 St-Hubert Machine Shop does a variety of repairs for many types of products including: Bevel, Helical, Herringbone, Miter Gears, Spiral Bevels and others. St-Hubert Machine Shop stands 110% behind every product with a guarantee. Our wide range of products allows us to cater to any industry.